Vladimir Putin’s re-election to a fourth term as Russia’s president was a foregone conclusion. 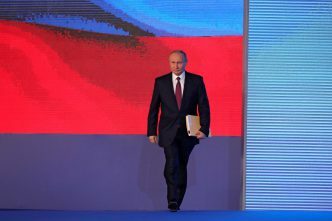 The Kremlin undoubtedly orchestrated ballot-box stuffing and other measures to ensure that Putin received at least 70% of the vote across all regions. Yet, even without such shenanigans, Putin probably still would have cruised to victory on the nationalist wave created by his 2014 annexation of Crimea. But the Kremlin’s hope of a deeper partnership with China was dashed when Chinese President Xi Jinping invited US President Donald Trump to a state dinner in Beijing’s Forbidden City—an honour never extended to a Soviet or Russian leader. Likewise, the prospect of warmer ties with the US has gone up in smoke, owing to revelations of Russian meddling in the US 2016 election. Finally, in Syria, Putin has proclaimed ‘Mission accomplished’ time and again, yet Russian mercenaries on the ground there keep dying. To be sure, Russia has been able to test new military hardware while shoring up Syrian President Bashar al-Assad’s regime. But peace and stability are still nowhere in sight. Trying to exude confidence in his annual address to the Federal Assembly this month, Putin nonetheless revealed his fears about the future. For example, his promise of economic growth was familiar, but he was far more explicit than usual in warning that Russia could fall behind other countries. ‘The speed of technological progress is accelerating sharply,’ he observed. ‘Those who manage to ride this technological wave will surge far ahead. Those who fail to do this will be submerged and drown in this wave.’ There can be little doubt that Russia currently risks drowning. Similarly, Putin devoted the bulk of his speech to a multimedia show of sophisticated new strategic weapons: super-heavy intercontinental ballistic missiles, hypersonic strategic attack weapons, gigantic futuristic underwater torpedoes and nuclear-powered cruise missiles with unlimited range. 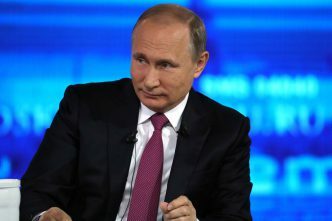 But in his attempt to prove that Russia can overcome any new strategic defence measures the US might put in place, Putin betrayed his fear that Russia’s strategic nuclear arsenal could be rendered irrelevant. Aside from Russia’s nuclear arsenal and the veto power that it enjoys as a permanent member of the United Nations Security Council, its foundation of strategic influence is weak. Even after adjusting for differences in purchasing power, Russia’s economy is closer in size to Italy’s. 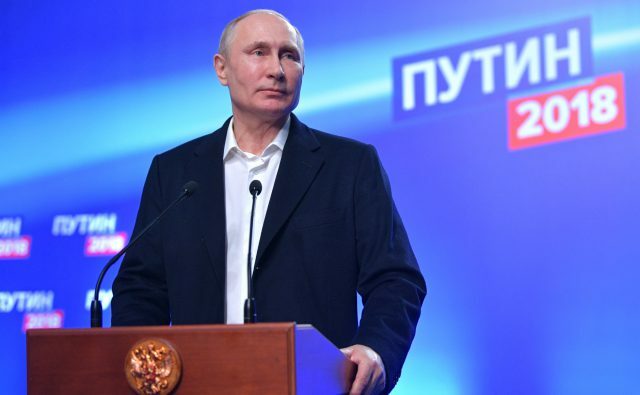 If Putin is serious about sustaining a strategic arms race with the US, he will have to force significant sacrifices on other key economic sectors—and a lower standard of living on ordinary Russians. Russian security agencies may have a ‘license to kill’ defectors with whatever sophisticated methods they can muster. 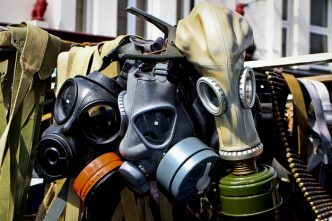 But, like the polonium attack a decade ago, the first-time use of a sophisticated nerve agent, Novichok, did not go undetected, and the Kremlin is now resorting to a crude arsenal of lies and disinformation to try to hide its tracks. Needless to say, a regime that murders and lies is not an inviting partner for cooperation. But this doesn’t make serious talks between the US and Russia any less necessary. Both countries are modernising their nuclear arsenals, and there is a real risk that new technologies could erode longstanding arms-control measures or render them obsolete. The future of Putin’s extended reign is highly uncertain. 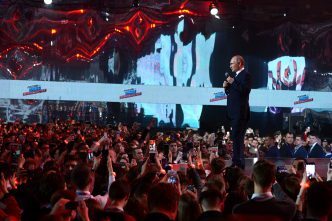 Domestic reforms are not likely to be forthcoming, and the Kremlin’s unleashing of its security forces abroad has undermined the prospect of rapprochement with the West. While a new arms race would pose significant dangers for Russia—and for everyone else—it would also almost certainly bring the country to ruin, as the Soviet Union’s last leaders could no doubt attest. Carl Bildt is a former prime minister and foreign minister of Sweden. This article is presented in partnership with Project Syndicate © 2018. Image courtesy of President of Russia.